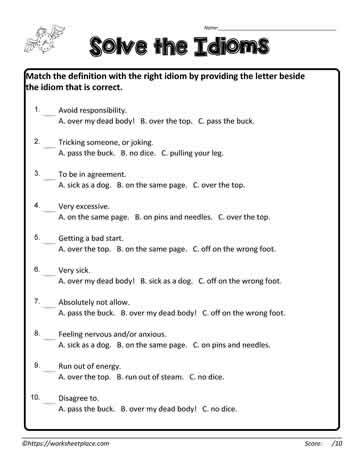 Idiom worksheets with answers. A figurative language unit for 4th and 5th grade students. Students should be able to understand the literal meaning in figurative language. I can statements would be I can make sense of metaphors, idioms, similes and personification.